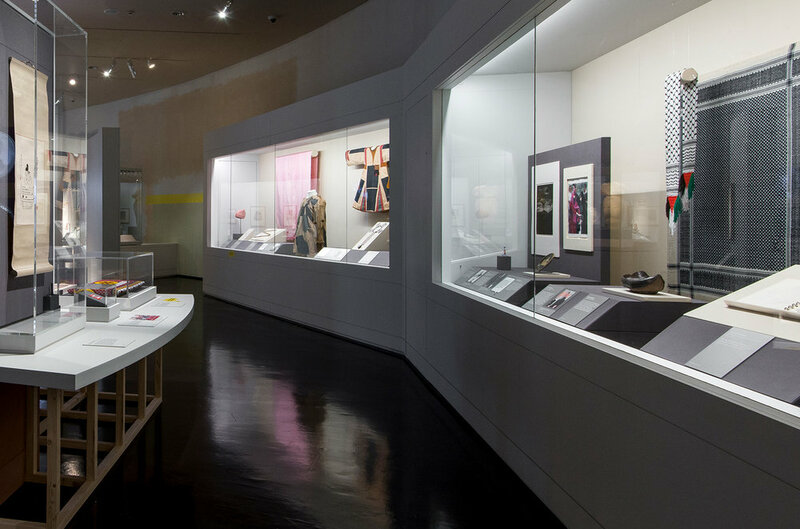 The selection of objects in this exhibition is very diverse, featuring examples from the British Museum’s collection that reveal how people have always challenged and undermined orthodox views in order to enable change. The graphic design works with the AV and 3D design to give the visitor a feeling of Ian Hislop’s personality travelling through the exhibition, and reflects the subtle, makeshift nature of dissent. The unfinished raw materials used help reinforce this feeling. Interactive exhibits include a very popular badge-making station. 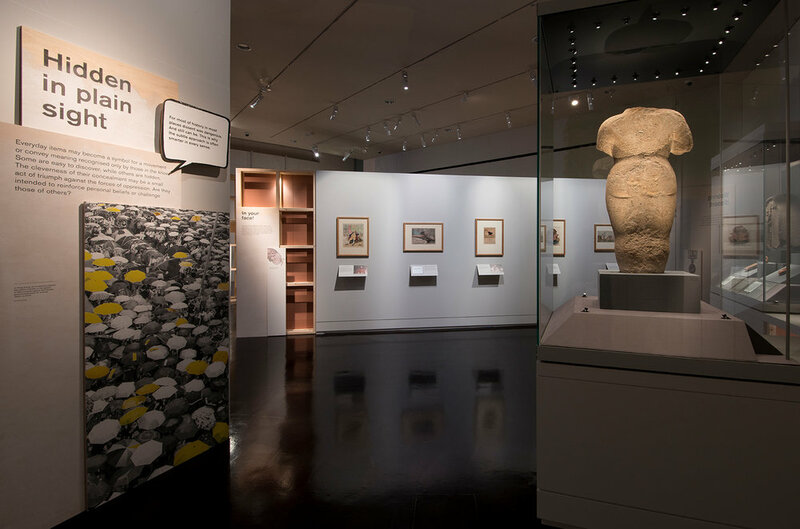 Speech bubbles are used throughout the exhibition to reveal Ian’s commentary, and yellow labels pop out to prompt the visitor to consider their own opinion and encourage family discussion.